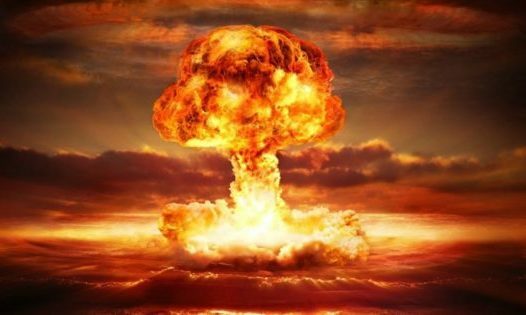 [VIDEO] Alex Dvorkin: "My Cycles Predict WW3 Before 2030"
I buy that it can be within weeks, months, years or a decade. The longer it goes the more likely for it to occur until a break point of sane maturity is reached. Its like a kid being in trouble at 10 (minor) 15 (getting serious) 20 (danger) 25 (sense is coming in) 30 (married, 2 kids, responsible). The world has to get by the danger curve; were at 15. Kevin, good analogy. I’d only argue that we’re more like 3 year olds though. More than capable of going from happy happy to throwing our toys in a pique in an instant. Everywhere I look news-wise anymore, I see wild oscillations of emotion guiding our actions and “thoughts”. Yep, just past the terrible 2s, call it 38 months old. I can only hope that we have 10-12 years before WWIII. I ask, would anybody on this site be surprised if they woke up tomorrow and the US had engaged in a military conflict with either Russia or China overnight? I would. Neither China NOR Russia can beat the USA in direct non-nuclear military conflict at this point in time in either theater; either singularly or together. Both need another five to ten years to catch up. In a nuclear exchange initiated by either China or Russia, the US Space Plane is ARMED with non nuclear kinetic projectiles more powerful and more devastating than nuclear weapons. That does not include the TR3-B, C, & D comprising the bulk of the Secret Space Force. All those missing TRILLIONS ??? They went to THAT program; which is why the NWO is so anxious to engage both nations in conflict now. McCain knew that secret. Someone autistic-enough to chart news items vs. stock points and see the correlation should probably be rich. I would say China is ready to rock and roll now. They have better tech, more troops, fewer fat troops. China itself is now more modern and more war ready with air raid shelters than the US. Do you know where your shelter is? Every Chinese person does. I should write this info down and just before 2030 I’ll max out the credit cards…..